Quillow: def. 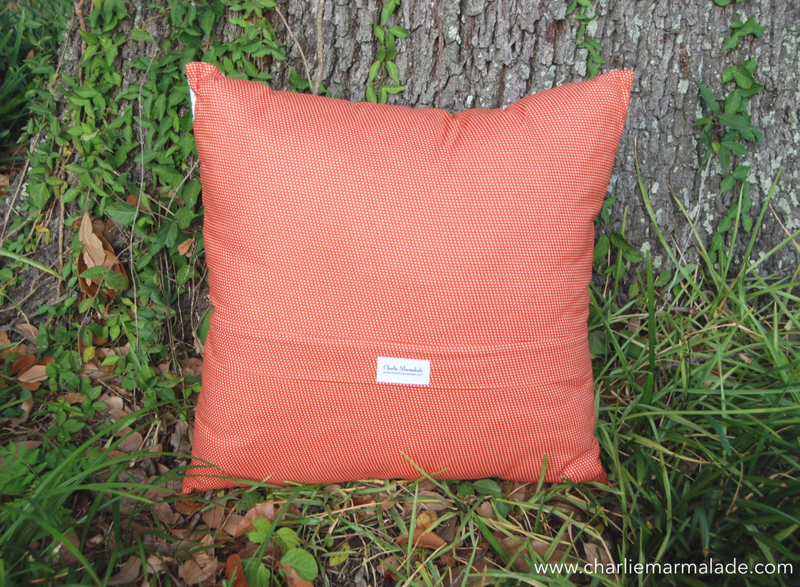 A one-of-a-kind quilted pillow sham. 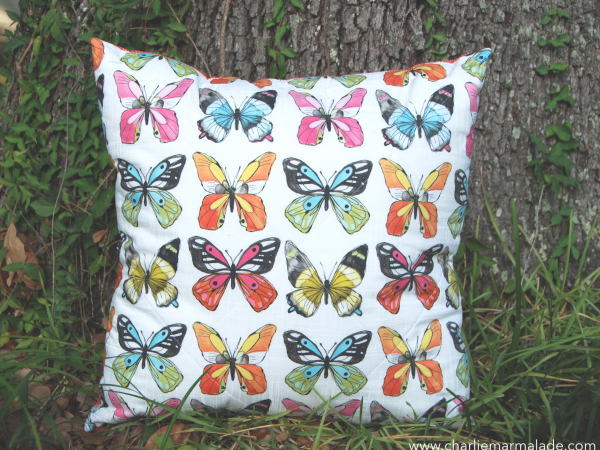 Great for decorating a bed, couch, chair, bench, or reading nook. Stuff it, place it, enjoy it. 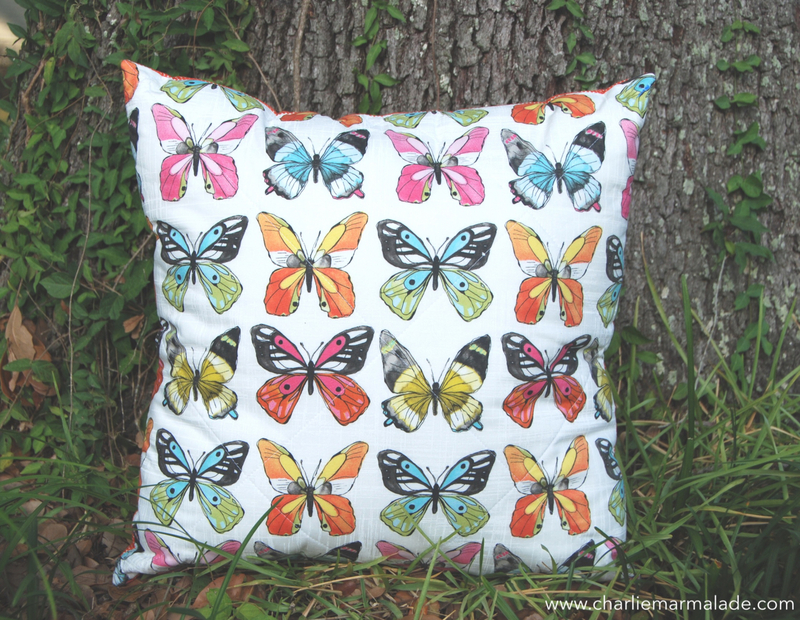 This quillow features beautiful butterflies and a fun orange polka dot backing print with a zipper closure. 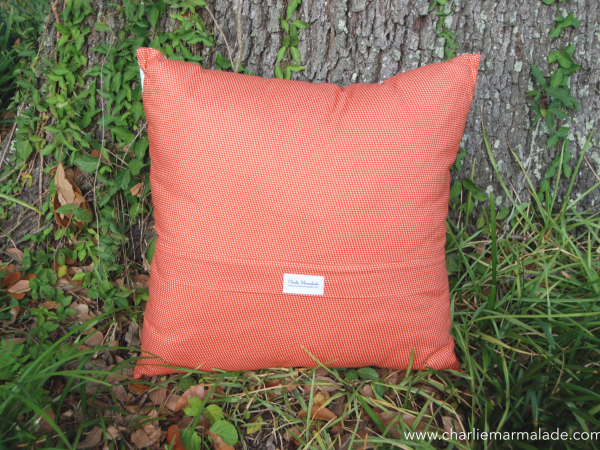 This pillow sham fits a standard 18" x 18" pillow form nicely. **This listing is for the pillow sham only. The pillow form is not included. This quillow was handmade, using the highest quality materials, in my smoke and pet free studio. 100% cotton. Machine wash, tumble dry low. If you have any questions, please click the contact link below.